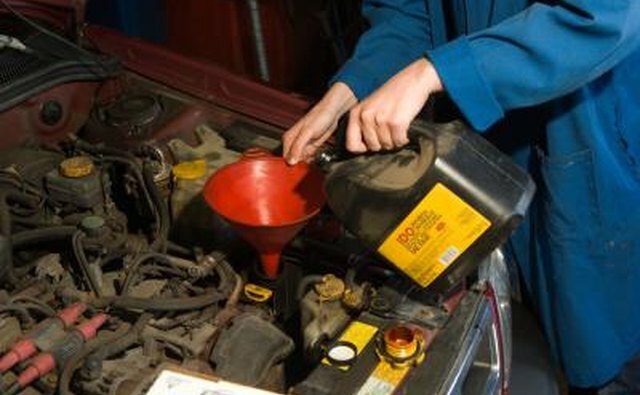 A basic rule of thumb for car owners is to have the oil changed every 3,000 miles and have a tune-up every 30,000 miles. 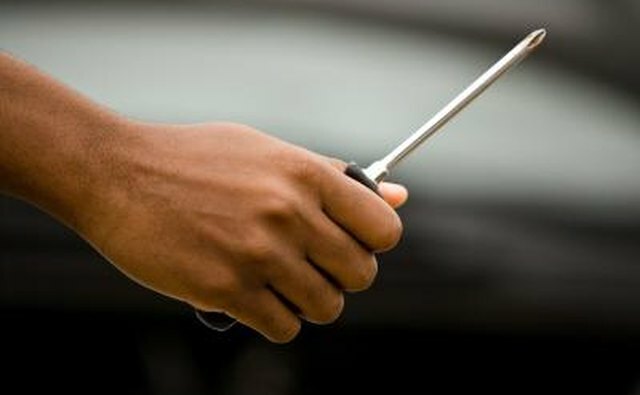 Tuning up a Toyota Corolla is a relatively inexpensive maintenance procedure that will save you considerable money if you do it yourself as opposed to bringing it into a shop or the dealer. 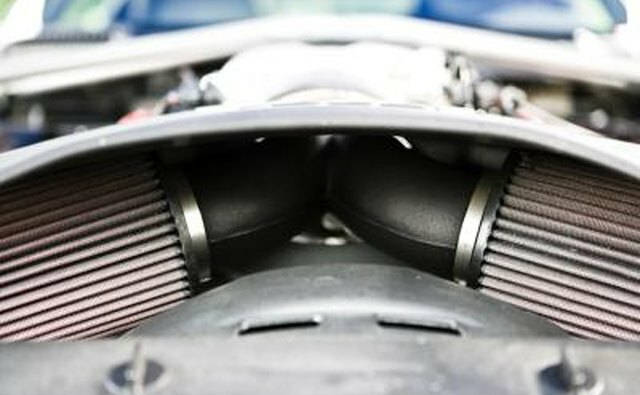 The tune-up involves replacing a number of basic parts available at your local auto parts supply store and can be done without expert mechanical knowledge. 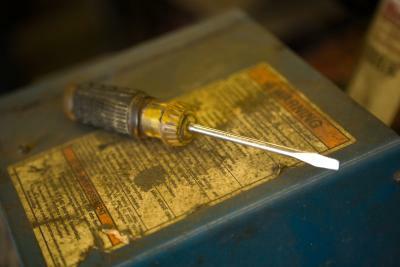 Disengage the old fuel filter with your adjustable wrench (or matching fixed-size wrench) and remove. Install the new air filter. Unscrew the screws from the distributor cap and remove it. 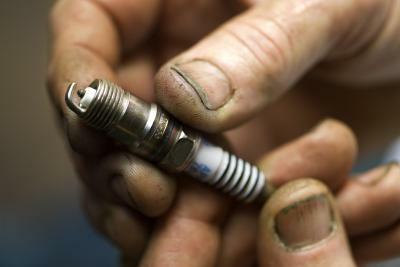 This should give you easier access to the spark plugs. 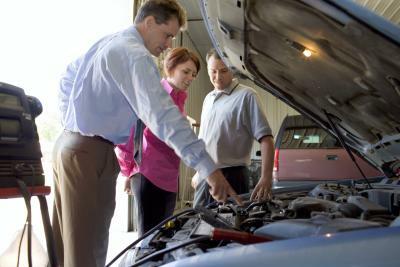 Discard the old distributor cap but hold on to the screws. 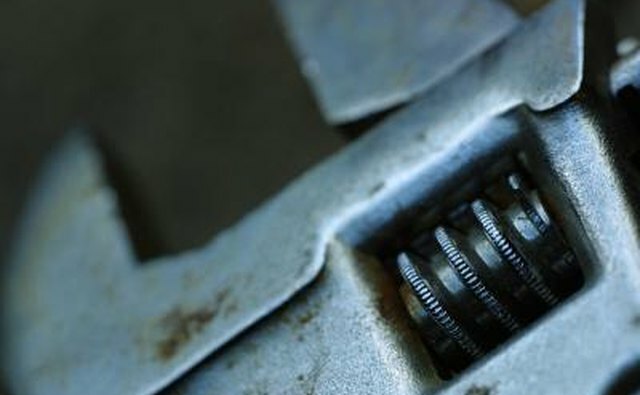 Loosen and remove the spark plugs with your 5/8-inch wrench. 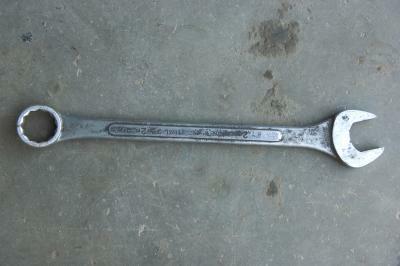 This specific wrench will make the job easier because the plugs are located deep within the engine. While you can remove all the old ones first and then install the new ones, it may be easier to remove and install the new plugs one at a time so you can easily locate the insertion points. Pull the old spark plug wires out and connect the new ones. This can be done by hand. Unscrew the screw holding the plate where the old points are connected. Remove the old points (you should be able to pull them out by hand) and install the new ones. The old points can be discarded. Screw the holding plate back on. Remove the old condenser by unscrewing the two screws holding it in place. The old condenser can be discarded. Install the new condenser and tighten the screws. Install the new distributor cap and tighten the screws. Unbolt the retaining bolts from the engine drive belt and remove the belt. 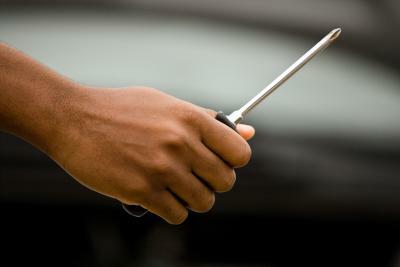 You may need to use a large screw driver or similar tool to pry the belts from the pulley. 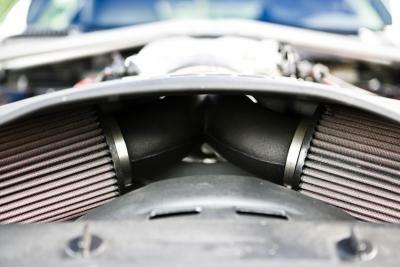 Install the new belts and adjust the tension but do not overtighten. Change the oil. 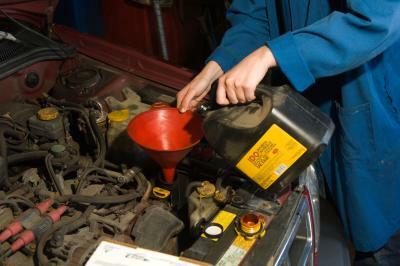 Slide a baking pan beneath the car's oil pan to catch the old oil when it drains. Unscrew the bolt plug. 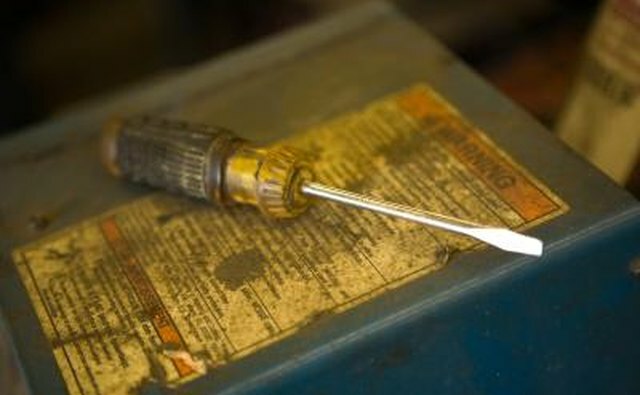 Once the oil is drained, replace the bolt plug and fill the new oil into the engine. Unscrew the cap holding the air filter and remove the lid. This will likely have a wing nut that can be unscrewed by hand. Remove the old air filter and install the new one. 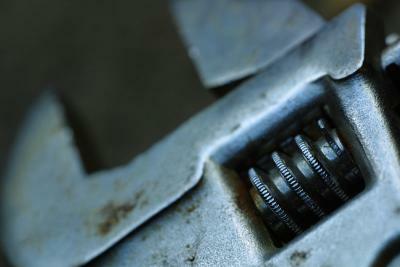 Replace the lid and screw the wing nut back on and tighten. The old air filter can be discarded. Be sure not to perform your tune-up shortly after the car has been running because many of the parts will be very hot and you may burn yourself.